It’s bitter cold, then it’s amazingly warm; it’s snowing, then it’s raining. There’s ice, and then the streets are bone dry. That’s winter in southern Wisconsin. But there are lots of activities and city meetings to think about and attend. So here we go with our weekly update of the goings-on. On Monday, both Madison Bikes and Bike Fitchburg will be holding meetings. The Madison Bikes Board of Directors meets at the Madison Central Library at 6:00 pm. 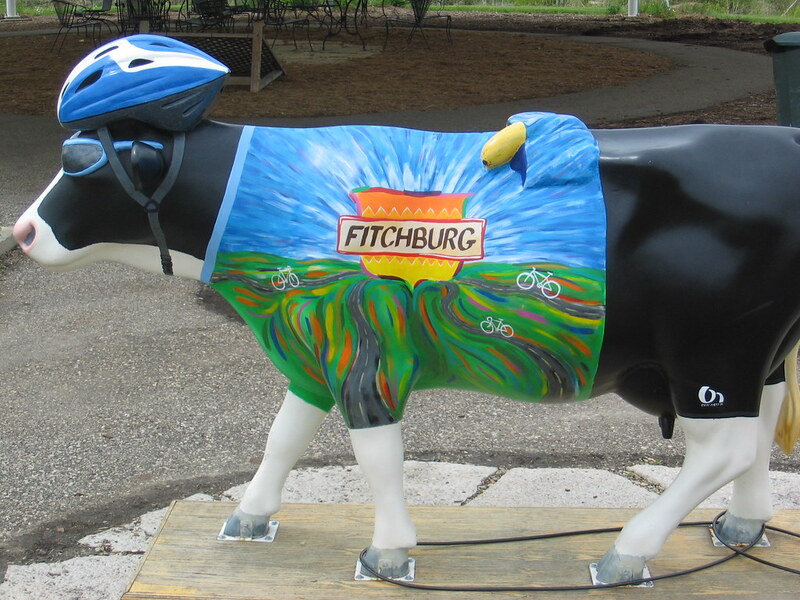 Fitchburg Bikes meets at the Fiitchburg Library at 6:30 pm. 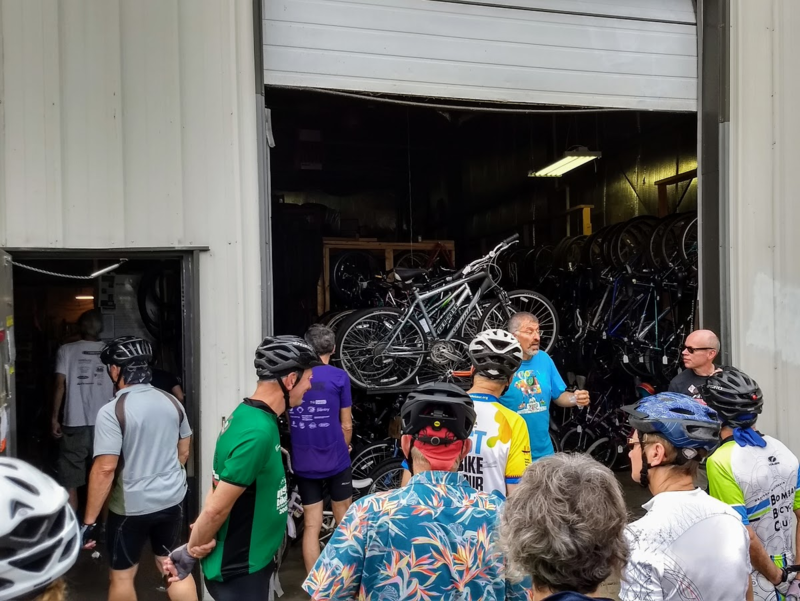 Also on Monday, the weekly MEAThead ride leaves at 7:00 pm from Ford’s Gym, 2114 Winnebago St, for a Lake Monona Loop ride, with an optional loop through the Arboretum. This is a weekly ride from November through March, so just put it on your calendar. Tuesday, the monthly Pedestrian/Bicycle/Motor Vehicle Commission meeting (5:00 pm in Rm 201 of the City-County Bldg, agenda here) will take up a number of seemingly routine, but actually quite important matters. Remember that you can go to all city meetings to watch, and you can also register to testify on any item on the agenda. You can summit comments or your support/opposition via email or in writing in person. Your voice is important! To get more information on the items below, just click the agenda link and follow the attachments for each item. Projects within the neighborhood Traffic Management Program (AKA traffic calming). Where new traffic signal will be installed. A number of general city engineering projects that affect bicycling, including the project at Winnebago and Riverside, a few short path connections, and the repaving of the path that leads to Memorial High School. Bicycle-specific projects coming up in this year, mosst of which are small items like flashing lights or curb ramps. The city’s policy of bike route maitenance policy. Also on the agenda is a state law being considered that would add electric bikes to the definiton of “bicycle” in state statutes. You can see a staff review of the proposed state law by Traffic Engineering. If you’re not I the mood for a city meeting on Tuesday, you can head over to Manna Café on N. Sherman to join up with Down With Bikes for their biweekly winter social ride and games night. Leaving from Manna at 6:30 pm, they will weave through the North Side to arrive at Player’s Bar for ping pong, pool, and board games. Although the Middleton Pedestrian, Bike, Transit Committee is listed on the Madison Bikes calendar as meeting on Wednesday at 6:30 pm at the Middleton City Hall, no evidence of it can be found on the City of Middleton meetings website. If you are interested in upcoming issues, it might be worth a call to the city to see if a meeting is scheduled. Finally, on Thursday, the Long Range Transportation Planning Committee will be meeting (5:00 pm in Room 108 of the City-County Bldg, agenda here.) The principal item on the agenda will be continued work on the transportation component of the Imagine Madison planning process, which is the update to the city Comprehensive Plan. If you have an event, meeting, or ride that you would like us to list on the Madison Bikes calendar, please drop us a note. The City of Fitchburg—currently ranked a "silver" Bicycle-Friendly Community—is updating their Bicycle and Pedestrian Plan. The meeting will take place on July 21, 6:00 to 8:00 p.m., at the Kids Crossing Shelter at McKee Farms Park. If you can't make it to the meeting, there is also a website with information about the plan and the opportunity to take a survey and provide input. Read the full announcement below.